70. How many creatures are there living and reproducing in the vast expanse of the universe, following the law of life over and over, adhering to one constant rule. Those who die take with them the stories of the living, and those who are living repeat the same tragic history of those who have died. And so mankind can’t help but ask itself: Why do we live? And why do we have to die? Who is in command of this world? And who created this mankind? Was mankind really created by Mother Nature? Is mankind really in control of its own fate? … For thousands of years mankind has asked these questions, over and over again. Unfortunately, the more that mankind has become obsessed with these questions, the more of a thirst he has developed for science. Science offers brief gratification and temporary enjoyment of the flesh, but is far from sufficient to free mankind of the solitariness, loneliness, and barely-concealed terror and helplessness deep within his soul. Mankind merely uses scientific knowledge that the naked eye can see and the brain can comprehend to anesthetize his heart. Yet such scientific knowledge cannot stop mankind from exploring mysteries. Mankind does not know who is the Sovereign of all things in the universe, much less does he know the beginning and future of mankind. Mankind merely lives, perforce, amidst this law. None can escape it and none can change it, for among all things and in the heavens there is but One from everlasting to everlasting who holds sovereignty over everything. He is the One who has never been beheld by man, the One whom mankind has never known, in whose existence mankind has never believed, yet He is the One who breathed the breath into mankind’s ancestors and gave life to mankind. He is the One who supplies and nourishes mankind for its existence, and guides mankind up to the present day. Moreover, He and He alone is whom mankind depends on for its survival. He holds sovereignty over all things and rules all living beings beneath the universe. He commands the four seasons, and it is He who calls forth wind, frost, snow, and rain. He gives mankind sunshine and brings the coming of night. It was He who laid out the heavens and earth, providing man with mountains, lakes and rivers and all the living things within them. His deed is everywhere, His power is everywhere, His wisdom is everywhere, and His authority is everywhere. Each of these laws and rules is the embodiment of His deed, and every one of them reveals His wisdom and authority. Who can exempt themselves from His sovereignty? And who can discharge themselves from His designs? All things exist beneath His gaze, and moreover, all things live beneath His sovereignty. His deed and His power leave mankind with no choice but to acknowledge the fact that He really does exist and holds sovereignty over all things. No other thing apart from Him can command the universe, much less can it ceaselessly provide for this mankind. 71. God is the Master of the rules that control the universe, He controls the rules that govern the survival of all things, and He also controls the universe and all things such that they can live together; He makes it so they do not go extinct or disappear so that mankind may continue to exist, man can live in such an environment through God’s leadership. These rules that govern all things are under the dominion of God, and mankind cannot intervene and cannot change them; only God Himself knows these rules and only He Himself manages them. When will the trees sprout, when will it rain, how much water and how many nutrients will the earth give the plants, in what season will the leaves fall, in what season will the trees bear fruit, how much energy will the sunlight give the trees, what will the trees exhale from the energy they get from the sunlight—these are all things that God had already arranged when He created the universe and they are laws that cannot be broken by man. The things created by God—whether they are living or appear to be non-living by people—are all in God’s hands and under His dominion. No man can change or break this rule. … Everything that is alive, everything that has life is under the dominion of God. It was given life after God created it; it is life given from God and it follows the laws and path He created for it. This needs not be altered by man, and needs no help from man; this is how God provides for all things. 73. God created the universe and He is Lord of it; He is in charge of it and He provides for it while watching over every word and action. He also oversees every corner of human life. So God created the universe and the significance and value of each thing as well as its function, its nature, and its rules for survival are clearly known to Him like the back of His hand. 74. God maintains the environment in which people live and He provides all of the things this mankind needs. Furthermore, He manages and holds dominion over all things. All of this allows mankind to live normally and thrive normally; it is in this way that God provides for all things and for mankind. 75. That God provides for the universe has a very broad meaning and application. God doesn’t just provide people with their daily needs of food and drink, He provides mankind with everything they need, including everything people see and things that can’t be seen. God upholds, manages, and rules the living environment that mankind needs. Whatever environment mankind needs in whatever season, God has prepared it. Whatever atmosphere or temperature that is suitable for human existence is also under God’s control and none of these rules occur by themselves or at random; they are the result of God’s rule and His deeds. God Himself is the source of all of these rules and is the source of life for all things. This is an established and unassailable fact whether or not you believe it, whether or not you can see it, or whether or not you can understand it. 76. Speaking of the larger environment, God made all things interconnected, mutually intertwined, and interdependent. He used this method and these rules to maintain the survival and existence of all things and in this way mankind has lived quietly and peacefully and has grown and multiplied from one generation to the next in this living environment up to the present day. That is to say, God balances the natural environment. If God’s sovereignty and control were not in place, no man could maintain and balance the environment, even if it was created by God in the first place. 77. But what people really need to know now is that God is continuously supplying mankind’s needs, managing mankind’s living environment, and preserving, protecting and maintaining mankind’s living environment. It is because of such an environment that God’s chosen people are able to live normally like this and accept God’s salvation and chastisement and judgment. All things are continuing to exist because of God’s rule, while all of mankind is continuing to move forward because of God’s supply in this manner. 78. God’s supply of all things is sufficient to show that God is the source of life for all things, because He is the source of supply that has enabled all things to exist, live, reproduce, and continue on. Apart from God there is no other. God supplies all needs of all things and all needs of mankind, regardless of whether it is the most basic needs, what people need daily, or the supply of the truth to people’s spirits. From all perspectives, when it comes to God’s identity and His status for mankind, only God Himself is the source of life for all things. Is this correct? (Yes.) Which is to say, God is the Ruler, Master, and Supplier of this material world that people can see with their eyes and feel. For mankind, is this not God’s identity? This is entirely true. 79. Ever since God created them, based on the laws that He determined, all things have been operating and have been continuing to develop regularly. Under His gaze, under His rule, all things have been developing regularly alongside the survival of humans. Not a single thing is able to change these laws, and not a single thing can destroy these laws. It is because of God’s rule that all beings can multiply, and because of His rule and management that all beings can survive. This is to say that under God’s rule, all beings come into existence, thrive, disappear, and reincarnate in an orderly fashion. When spring arrives, drizzling rain brings that feeling of spring and moistens the earth. The ground begins to thaw, grass germinates and pushes its way up through the soil and the trees gradually turn green. All these living things bring fresh vitality to the earth. This is the sight of all beings coming into existence and thriving. All sorts of animals also come out of their burrows to feel the warmth of spring and start a new year. All beings bask in the heat during the summer and enjoy the warmth brought by the season. They grow rapidly; trees, grass, and all types of plants are growing very quickly, then they bloom and bear fruit. All beings are very busy during the summer, including humans. In the fall, rains bring autumn’s coolness, and all types of living beings start to experience the harvest season. All beings bear fruit, and humans also begin to harvest all kinds of things because of the fall production of these beings, in order to prepare food for the winter. In the winter all beings gradually begin to rest in the coldness, to become quiet, and people also take a break during this season. These transitions from spring to summer to fall and to winter—these changes all occur according to the laws established by God. He leads all beings and humans using these laws and has established for mankind a rich and colorful way of life, preparing an environment for survival that has different temperatures and different seasons. Under these orderly environments for survival, humans can also survive and multiply in an orderly way. Humans cannot change these laws and not a single person or being can break them. No matter what radical changes occur in the world, these laws continue to exist and they exist because God does. It is because of God’s rule and His management. With this type of orderly, larger environment, people’s lives go forward within these laws and rules. These laws cultivated generation after generation of people and generation after generation of people have survived within these laws. People have enjoyed the beings and this orderly environment for survival created by God for generation after generation of humans. Even though people feel that these types of laws are innate, even though they are entirely dismissive of them, and even though they cannot feel that God is orchestrating these laws, that God is ruling over these laws, no matter what, God is always engaged in this unchanging work. His purpose in this unchanging work is for the survival of mankind, and so that humans may continue on. 80. When God created all things, He drew boundaries for mountains, plains, deserts, hills, rivers, and lakes. … God drew boundaries between all these different kinds of terrain. When we speak of drawing boundaries, it means that mountains have their delineations, plains have their own delineations, deserts have a certain scope, and hills have a fixed area. There is also a fixed quantity of bodies of water such as rivers and lakes. That is, when God created all things He divided everything very clearly. … Within all of these different terrains and geographical environments created by God, He is managing everything in a planned and orderly way. So all of these geographical environments still exist several thousand years, tens of thousands of years after they were created by God. They are still playing each of their roles. Although during certain periods volcanoes erupt, during certain periods earthquakes occur, and there are major shifts of the land, God absolutely will not allow any type of terrain to lose its original function. It is only because of this management by God, His rule over and grasp of these laws, that all of this—all of this enjoyed by mankind and seen by mankind—can survive on the earth in an orderly way. So why does God manage all these various terrains that exist on the earth in this way? The purpose is so that the living things that survive in various geographical environments will all have a stable environment, and so that they are able to continue to live and multiply in that stable environment. All of these beings—ones that are mobile and those that are immobile, those that can breathe and those that cannot—make up a unique environment for the survival of mankind. Only this kind of environment is able to nurture generation after generation of humans, and only this kind of environment can allow humans to continue to peacefully survive, generation after generation. 81. The mountain has its own value as a mountain, and the sea has its own value as a sea. In this way, under these circumstances where they are able to exist together normally and where they each do not interfere with one another, they also restrict one another; the great mountain restricts the sea so that it does not flood and thus it protects the people’s homes, and this also allows the sea to nurture the living things that dwell within it. Did this landscape take form on its own? (No.) It was also created by God. We see from these images that when God created the universe, He predetermined where the mountain would stand, where the stream would flow, from which direction the fierce wind would begin to blow and where it would go, as well as how high the huge waves would be. God’s intentions and purpose are held within all of these things and they are His deeds. 82. All beings created by God—no matter if they are fixed in one place or can breathe—they all have their laws for survival. Long before God created these living beings He had prepared for them their own homelands, their own environments for survival. These living beings had their own fixed environments for survival, their own food, their own fixed homelands, their own fixed places suitable for their survival, places with temperatures suitable for their survival. That way they wouldn’t wander around or undermine mankind’s survival or impact their lives. This is how God manages all beings. It is to provide for mankind the best environment for survival. The living beings within all beings each have life-sustaining food within their own environments for survival. With that food, they are fixed within their native environment for survival. In that kind of environment, they are still surviving, multiplying, and continuing on according to the laws God has established for them. Because of these types of laws, because of God’s predestination, all beings interact harmoniously with mankind, and mankind and all beings are interdependent. 83. If all beings lost their own laws, they would no longer exist; if the laws of all beings were lost, then the living beings amongst all beings would not be able to continue on. Humans would also lose their environments for survival that they depend upon for survival. If humans lost all of that, they would not be able to continue to live and multiply generation after generation. The reason humans have survived until now is because God has supplied mankind with all beings to nurture them, to nurture mankind in different ways. It is only because God nurtures mankind in different ways that they have survived until now, that they have survived until the present day. With that type of fixed environment for survival that is favorable and orderly, all kinds of people on the earth, all kinds of races can survive within their own prescribed scopes. No one can go beyond these scopes or these boundaries because it is God that has delineated them. 84. What work has God done to distribute the races? First, He prepared the larger geographical environment, allocating different locations for people, and then generation after generation survive there. This is settled—the scope for their survival is settled. And their lives, what they eat, what they drink, their livelihoods—God long since settled all of that. And when God was creating all beings, He made different preparations for different types of people: There are different soil compositions, different climates, different plants, and different geographical environments. Different places even have different birds and beasts, different waters have their own special types of fish and aquatic products. Even the types of insects are determined by God. … The differences in these various aspects may not be seen or perceived by people, but when God was creating all beings, He delineated them and prepared different geographical environments, different terrains, and different living things for different races. That’s because God created different types of people and He knows what each of them needs and what their lifestyles are. 85. Looking from the perspective of the laws determined by God for the growth of all things, isn’t all of mankind, no matter what type, living under God’s provisions—aren’t they all living under His nurturing? If these laws were destroyed or if God hadn’t established these kinds of laws for mankind, what would their prospects be? After humans lost their basic environments for survival, would they have any source of food? It’s possible that food sources would become a problem. If people lost their sources of food, that is, if they couldn’t get anything to eat, how many days would they be able to hold on? Possibly they wouldn’t be able to hold on for even a single month, and their survival would become a problem. So every single thing that God does for people’s survival, for their continuing existence, multiplication, and subsistence is very important. Every single thing that God does among all things is closely related to and inseparable from people’s survival. 86. All things cannot be separated from God’s rule, and not a single person can separate themselves from His rule. Losing His rule and losing His provisions would mean that people’s lives, people’s lives in the flesh would disappear. This is the importance of God establishing environments for survival for mankind. It doesn’t matter what race you are or what piece of land you live on, be it in the West or the East—you cannot separate yourself from the environment for survival that God has established for mankind, and you cannot separate yourself from the nurturing and provisions of the environment for survival He has established for humans. No matter what your livelihood is, what you rely on to live, and what you rely on to sustain your life in the flesh, you cannot separate yourself from God’s rule and His management. 87. When God created all things, He used all sorts of methods and ways to balance them, to balance the living conditions for the mountains and lakes, to balance the living conditions for the plants and all kinds of animals, birds, insects—His goal was to allow all kinds of living beings to live and multiply within the laws that He had established. All beings cannot go outside of these laws and they cannot be broken. Only within this type of basic environment can humans safely survive and multiply, generation after generation. If any living creature goes beyond the quantity or scope established by God, or if it exceeds the growth rate, frequency, or number under His rule, mankind’s environment for survival would suffer varying degrees of destruction. And at the same time, mankind’s survival would be threatened. … So, if people lose these balances, the air that they breathe will be ruined, the water that they drink will be contaminated, and the temperatures that they require will also change, be impacted to different degrees. If that happens, mankind’s native environments for survival will be subject to enormous impacts and challenges. Under this type of circumstance where humans’ basic environments for survival have been destroyed, what would mankind’s fate and prospects be? It’s a very serious problem! 88. God has His own intention in every single thing that He does. Even though humans cannot see that intention, it is always very much related to mankind’s survival. It is inseparably related to it—it is indispensable. This is because God has never done anything that is futile. For every single thing that He does, His plan is within its theories and principles, which contain His wisdom. The goal behind that plan and intention is for the protection of mankind, to help mankind avert disaster, encroachment by any living thing, and any kind of harm to humans by all things. 89. Because God knows what all things are to mankind, the role of every type of thing that He created, what kind of impact it has on people, and how great of a benefit it brings to mankind—in God’s heart there is a plan for all of this and He manages every single aspect of all things that He created, so for humans, every single thing that He does is very important—it is all necessary. So when you see some ecological phenomena among all things, or some natural laws among all things, you will no longer be doubtful of the necessity of every single thing that was created by God. You will no longer use ignorant words to make arbitrary judgments on God’s arrangements of all things and His various ways of providing for mankind. You also will not make arbitrary conclusions on God’s laws for all things that He created. 90. And so, what do the “all things” in “God’s dominion over all things” include to God? They don’t just include the things that people can see and touch, but, moreover, that which is invisible and impalpable. This is one of the true meanings of God’s dominion over all things. Even though these things are invisible and impalpable to people, to God, as long as they can be observed by His eyes and are within the scope of His sovereignty, they actually exist. Even though, to mankind, they are abstract and unimaginable—and even though, moreover, they are invisible and impalpable—to God they actually and really exist. Such is the other world of all the things that God rules over, and it is another part of the scope of all the things that He rules over. 91. The spiritual world is an important place, one that is different from the material world. … The existence of the spiritual world is inextricably linked to the material world of mankind. It plays a major role in the cycle of human life and death in God’s dominion over all things; this is its role, and one of the reasons why its existence is important. … In a world such as this—one which is invisible to people—its every heavenly edict, decree, and administrative system is far higher than the laws and systems of any country of the material world, and no being that lives in this world would dare to contravene or arrogate them. … At different levels and in different areas, bailiffs strictly abide by their duty and observe rules and regulations, for they know what the consequence of violating a heavenly edict is, they are clearly aware of how God punishes evil and rewards good, and of how He administers all things, how He rules all things, and, moreover, they clearly see how God carries out His heavenly edicts and statutes. … Since there are heavenly edicts, and statutes, it concerns God’s sovereignty, administration, and, moreover, God’s disposition and what He has and is. 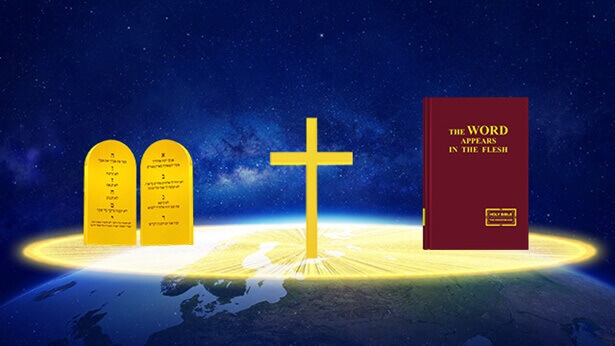 … Although it coexists with the material world, and is simultaneously subject to God’s administration and sovereignty, God’s administration and sovereignty of this world are far stricter than that of the material world. 92. Which is to say, where a person goes after they die and are reincarnated, whether they are male or female, what their mission is, what they will go through in life, their setbacks, what blessings they enjoy, who they will meet, what will happen to them—no one can predict this, avoid it, or hide from it. Which is to say, after your life has been set, in what happens to you, however you try and avoid it, by whatever means you try and avoid it, you have no way of violating the life course set out for you by God in the spiritual world. For when you are reincarnated, your life’s fate has already been set. Whether it be good or bad, everyone should face up to this, and should keep going forward; this is an issue that no one who lives in this world can avoid, and no issue is more real. 93. The death of a living being—the termination of a physical life—signifies that the living being has gone from the material world into the spiritual world, while the birth of a new physical life signifies that a living being has come from the spiritual world to the material world and begun to undertake its role, to play its role. Whether it be the departure or arrival of a being, both are inseparable from the work of the spiritual world. When someone comes into the material world, suitable arrangements and definitions have already been made by God in the spiritual world for the family they go to, the era they arrive in, the hour on which they arrive, and the role they play. And so this person’s entire life—the things they do, and the paths they take—proceeds according to the arrangements of the spiritual world, without the slightest fault. The time when a physical life terminates, meanwhile, and the manner and place in which it terminates, are clear and discernable to the spiritual world. God rules the material world, and He rules the spiritual world, and He will not delay a soul’s normal cycle of life and death, nor could He commit any errors in the arrangements of a soul’s cycle of life and death. Each of the bailiffs in the official posts of the spiritual world carries out their tasks, and does that which they ought to do, according to the instructions and rules of God. And so, in the world of mankind, every material phenomenon beheld by man is orderly, and contains no chaos. 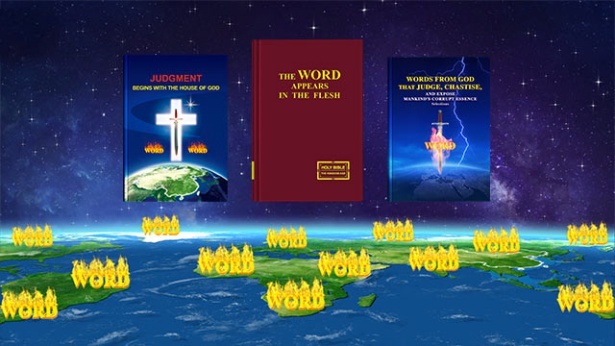 All of this is because of God’s orderly rule of all things, as well as because God’s authority rules over everything, and all that He rules over includes the material world that man lives in, and, moreover, the invisible spiritual world behind mankind. 94. God is the One who rules over all things, and who administers all things. He created all that there is, He administers all that there is, and He also rules over all that there is and provides to all that there is. This is the status of God, and the identity of God. For all things and all that there is, God’s true identity is the Creator, and the Ruler of all things. Such is the identity possessed by God, and He is unique among all things. None of God’s creatures—whether they be among mankind, or in the spiritual world—can use any means or excuse to impersonate or replace God’s identity and status, for there is only one among all things who is possessed of this identity, power, authority, and the ability to rule over all things: our unique God Himself. He lives and moves among all things; He can rise to the highest place, above all things; He can humble Himself by becoming a man, becoming one among those who are of flesh and blood, coming face-to-face with people and sharing weal and woe with them; at the same time, He commands all that there is, and decides the fate of all that there is, and what direction it moves in; moreover, He guides the fate of all mankind, and the direction of mankind. A God such as this should be worshiped, obeyed, and known by all living beings. 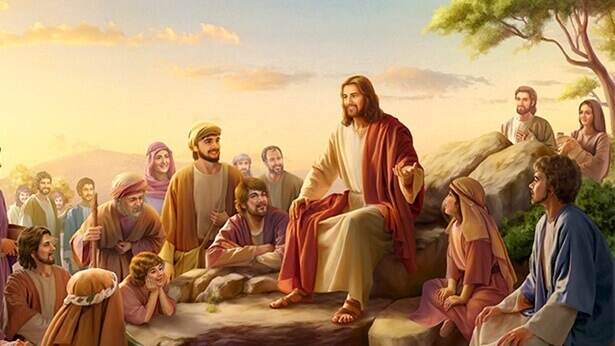 And so, regardless of which group and type among mankind you belong to, believing in God, following God, revering God, accepting God’s rule, and accepting God’s arrangements for your fate is the only choice, and the necessary choice, for any person, for any living being.